Siva is Universe. Lord Siva is the Lord of the Universe. He is known as Jagat Pati. He is Jagat Guru (Universal Teacher) also. He is the destroyer of Tripura (three cities) which symbolizes with three Gunas – like Anger, Lust and Greed. 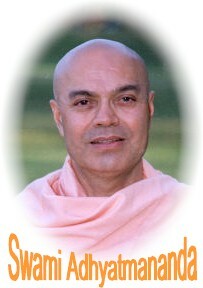 He is known as Uma Shankar, Gauri Shankar. He is full of light power and wisdom (Jyoti, Shakti and Jnana). Siva is Bliss. He is Yogi of the Yogis. Also he is known as Mahadev, Shankara, Hara, Shambhu, Sadashiv, Rudra, Sulapani, Bhairava, Uma Maheshwar, Nilkantha, Chandrashekhar, Ardhanareshwar, Maheshwara, Nilalohita, Param Siva, Digambara, Dakshinamani, etc. Siva in Holy Sri Siva Puran is being explained with thousands of names and each of his names has meaning and which describes the great glory of him. Siva is an embodiment of renunciation, mercy, love and wisdom. Unfortunately ‘GOD’ world is being described ‘G’ for Generator, ‘O’ for Organizer and ‘D’ for Destroyer. The Lord Trinity Brahma, Vishnu and Mahesh are known for these acts. It’s a great mistake to say that he is the destroyer. Lord Siva in reality is the Re-generator. Whenever one’s physical body becomes unfit by disease, old age or other causes, it is He the one who removes this rotten physical sheath and gives a new, healthy, rigorous body for further quick evolution. He wants to take all his children’s to his Lotus feet quickly. He desires to give them the grace of ‘SIVA – PADA’. It is easier to please Siva than Hari. A little prem or devotion, a little chanting of his divine name is quite sufficient to infuse delight in Siva. He gives boons to his devotees quite readily. He gave shastra (a missile presided over by him) to Arjuna, without any difficulty for his little penance. He gave a precious boon to Bhasmasura. In Kalahasti near Tirupati. He gave vision to a devotee hunter who plucked his two eyes to replace the weeping eyes of an idol. Even the untouchable Pariah Saint Nanda had darshan of Lord Siva. He ran with tremendous speed to make the boy Markandaya immortal when he was in the clutches of the God of Death, Yama King of Sri Lanka the famous Ravan pleased him with SAMA Chantings. He initiated the four virgin youths Sanaka, Sanandana, Sanatana and Sanatkumar into the mysteries of Jnana in the form of Guru, Dakshinamurti. Once he assumed the form of a boy and carried earth on his head for a devoted lady for the sake of sweetmeat as wages when an anicut was erected in the Vaigai River. Look at the unbounded mercy for his devotees, when Brahma and the Lord went to find out the head and feet of Lord Siva. He assumed the form of an infinite, expensive blare of light – Jyotirmay – Svaroopa. They were baffled in their attempts. How magnanimous and self – effulgent he is. Lord Siva is the Lord of ascetics and Lord of Yogines robed in space. His Trishul (trident) that is held in his right hand represents the three Gunas (Virtues) Sattva, Rajas and Tamas. That is the emblem of sovereignty. He rules the world through the three Gunas. The Damaru (drum) in his left hand represents Sabda Brahma. It represents ‘OM’ from which all languages are formed. It is he, who formed the Sanskrit Language out of the Damaru Sound ‘Pranava or Om’ denotes the external form of the Lord (like Paddy i.e. rice with husk) and Panchakshar and Panchakshara are one. The five letters Na – Mah – Si – Va – Ya (Panchakshara) denote the five actions or pancha kriyas of the Lord, viz. Srishti (creation), Stithi (Preservation), Samhara (Destruction), Tirodhana (Veiling) and Anugraha (Blessing), also the five elements and all creations through the combination of the five elements. In the worship of Lord Siva there is no distinction of caste and creed. The devotees of Lord Siva, served the poor, nursed the sick, helped the down trodden. They never knew any philosophy nor they knew any Vedanta or they hardly had any formal education, but they had total surrender and dedication towards Lord Siva. May we too remember him at all the times, in all conditions and abide in him. Who is Bliss Absolute.